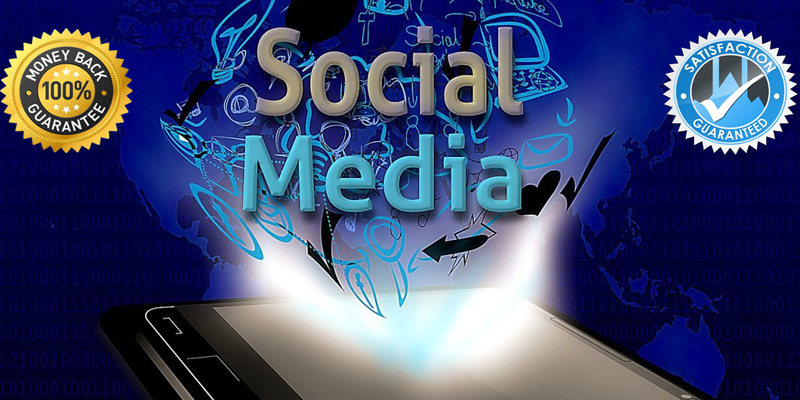 We will promote your social media profile to 1000 people through our online community to increase your following. We are specialize in increasing your online reputation and credibility so you can enjoy better visibility and exposure with search engines. We can not guarantee that your followers will interact but all of the accounts are genuine and have profile pictures and full content with regular daily/weekly activity. It really is a fantastic way to increase credibility and exposure. The first thing potential clients/customers tend to look at is the number of followers a company has, despite this often not being indicative to the quality or success of the service. <> Best practice adviser for capitalizing on the social media opportunity. <> Job will done on time. <> 100% money back grantee if not satisfied. <> Work will start Instantly or within 6-12 hours after your order. <> You will get the best quality audience. <> We will work for any one profile for one order. <> 100% safe work, will not hard your profile/page. <> For FB Page you will get followers also not like. Why wait? Order Today ! and Get the benefit of this powerful service. You can choice any one from this three. Written in the ad : " Work will start Instantly or within 6-12 hours after your order." Nothing happens since last friday.